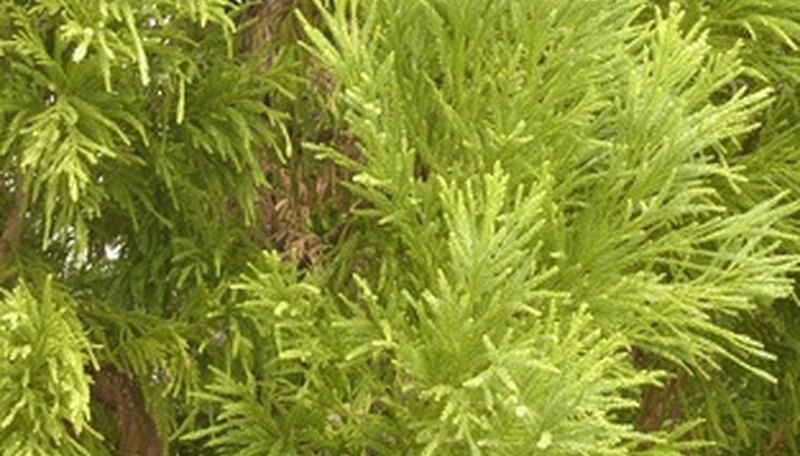 The blue atlas cedar is a relatively hardy tree that is considered by the USDA to be "generally free of insect pests and resistant to diseases." However, these trees can fall prey to several different diseases if they are not monitored. Keeping an eye on your cedar tree for the signs and symptoms of tree diseases of the blue atlas cedar is the best way to keep your tree healthy and happy for years to come. Sap suckers are attracted to the trunk of the blue atlas cedar tree. They riddle the trunk of the tree with oozing holes that leak sap once these pests leave. While these holes do not usually cause an immediate problem for the tree, they can allow fungal infections and problematic bacteria easier access to the interior of the blue atlas cedar. If possible, use reflective pieces of metal or foil, like pinwheels, to frighten the birds away. Root rot is caused by the fungus phytophthora. It is characterized in blue atlas cedars by limp, brown needles that look like they are suffering from drought. Even in the presence of sufficient water, the needles will not recover because the roots are no longer functioning. If you can adjust the soil around the tree to improve the drainage and you fertilize the tree, it may be able to overcome root rot. However, in many cases the tree will have to be removed. Cankers are caused by infections from either bacteria or fungi. The infections first cause a small, discolored indention in the bark of the cedar. These discolorations soon swell into bulging, corky cankers that can girdle branches and even the trunk of the tree if left unchecked. Use a sterile pruning technique to remove the cankers during cool weather when the infection is less likely to return or spread in the wound. If the cankers continue to appear, then treat the tree with a bactericide or fungicide to control the infection.